Imagine experiencing less stress, greater well-being, and even better physical health. Dr. Carl Greer explains that through journaling, exercises and expanded awareness practices - shamanic traditions and Jungian - anyone can tap into hidden resources for healing. The shamanic work he does is drawn from a blend of North American and South American indigenous trainings and is influenced by Jungian analytical psychology. He has trained with Peruvian shamans and through Dr. Alberto Villoldo's Healing the Light Body School, where he has been on staff. He has worked with shamans in South America, the United States, Canada, Australia, Ethiopia, and Outer Mongolia. 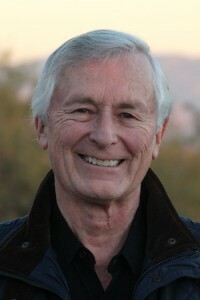 Carl Greer is involved in various businesses and charities, teaches at the C. G. Jung Institute of Chicago, is on the staff of the Replogle Center for Counseling and Well-Being, is the bestselling author of Change Your Story, Change Your Life, and holds workshops on Jungian and shamanic topics. His latest book is Change the Story of Your Health.